**Features standout collaboration with Nite Jewel, '1More Chance'. Includes download code** "Sean Nicholas Savage, a master of tenderness, reflection and projection, has released and toured relentlessly in pursuit of the rarer beauties found only in the nuance of pop song and performance. Other Death was recorded in Santa Monica, Los Angeles as a collaboration with Agor, of Savage’s Arbutus labelmates Blue Hawaii, while Errhead of Doldrums plays on much of the record. Ramona Gonzalez Nite Jewel also makes an appearance, as do TOPS‘ Jane Penny and David Carriere. This is Savage’s highest fidelity recording to date, with daring, captivating, and as always minimal and soft production style. In contrast to his usual introspection, Other Death is immediately more upbeat, uptempo, confident, inspired and delivers more consistent pop singles than any of his previous records. Savage is not playing to the middle. Here he gives his listeners, those who crave a harder SNS smack, the energy they crave. 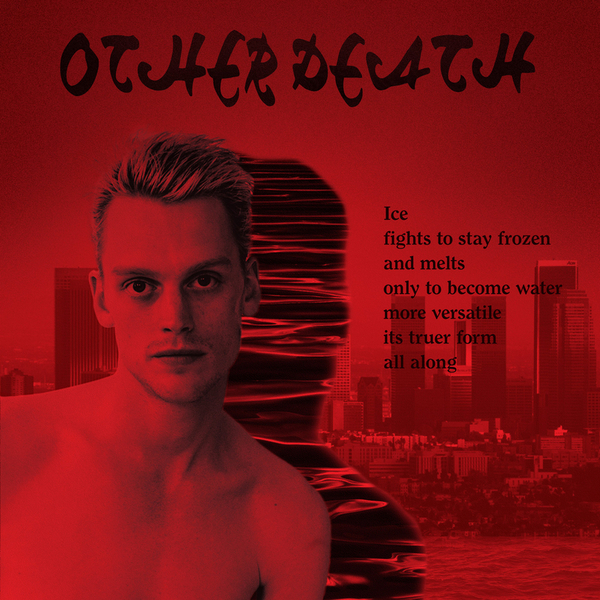 This is the release fans will turn to when they want to feel the sophisticated, delicate, and enchanted music of Sean Nicholas Savage at its most brave, free and loud. It’s as if upon being tossed a copy of Other Life, Savage reads the message; “Other Life?” and throws it back at us in blood red, “Other Death”."